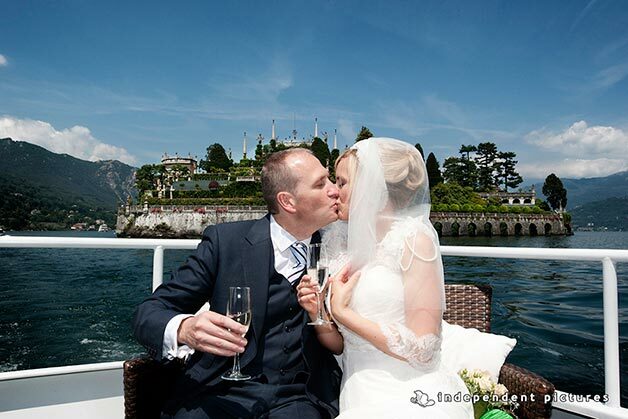 We are back on Lake Maggiore today to tell you about lovely Stephanie and Alberto’s romantic Wedding on Lake Maggiore. 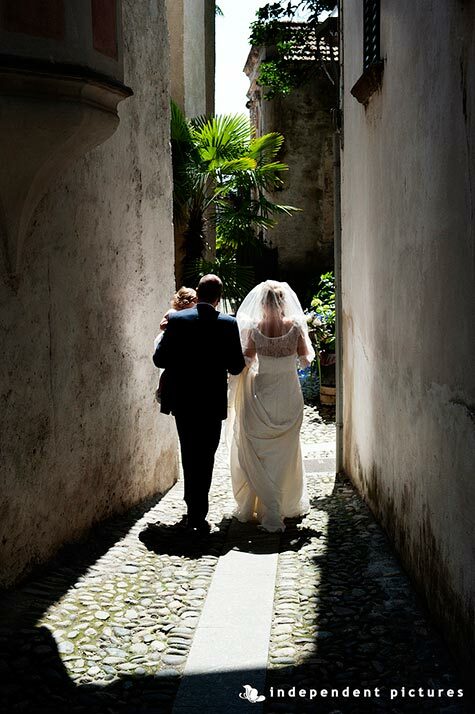 They are a wonderful English – Italian couple with a lovely little girl too. Alberto comes from Northern Italy and Stephanie comes from UK. 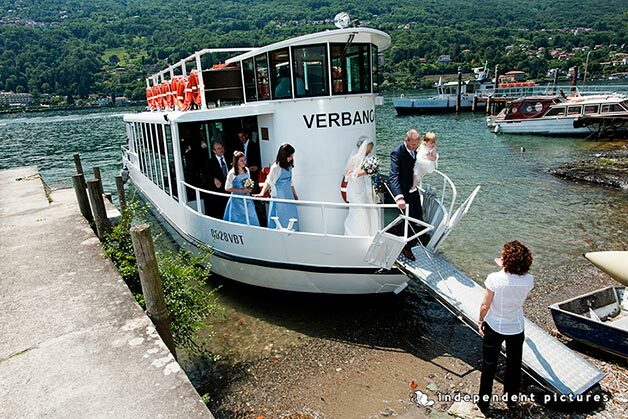 Because of Alberto’s origins they choose Lake Maggiore wonderful scenario for their romantic wedding. 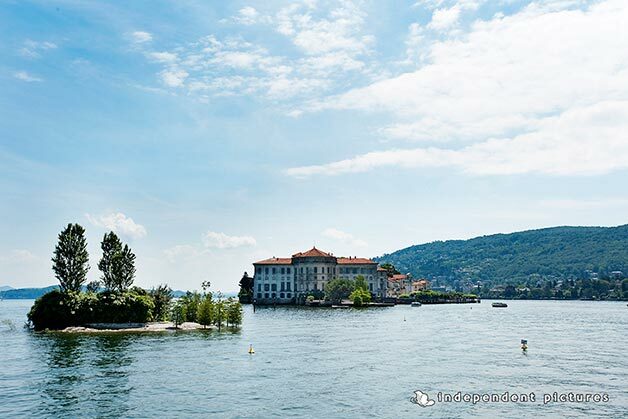 They fell in love with the enchanting atmosphere of Pescatori Island and they decided to plan the whole event on it. ride and groom decided to get ready to Hotel Verbano which was the reception venue too. 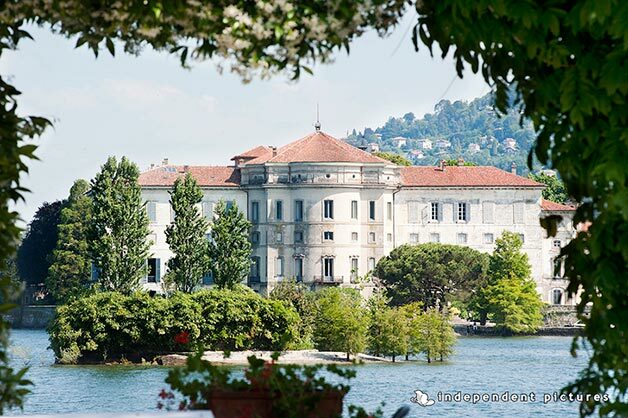 Hotel Verbano has pretty rooms facing the lake and other Borromeo Islands, Isola Bella in particular! The prefect setting for some getting ready pictures. 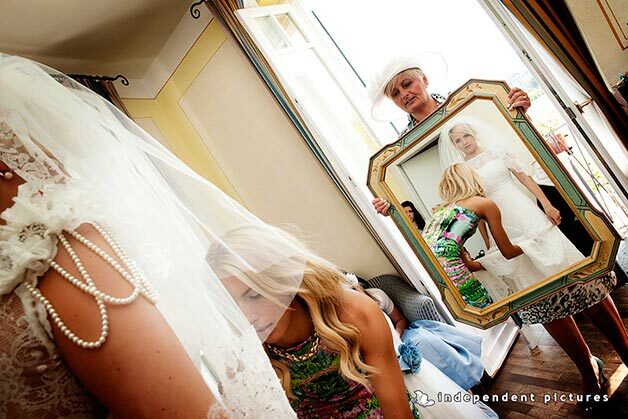 Stephanie got ready in her room with bridesmaids and her little daughter. Once ready she put on her wonderful wedding dress. We would like mention that the dress was designed by Claire Mischevani, after special ideas and concept Stephanie studied directly. 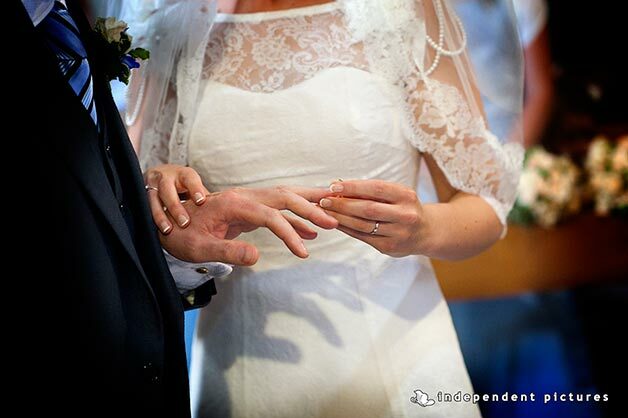 The final result is simply amazing and delicate just like the bride is. 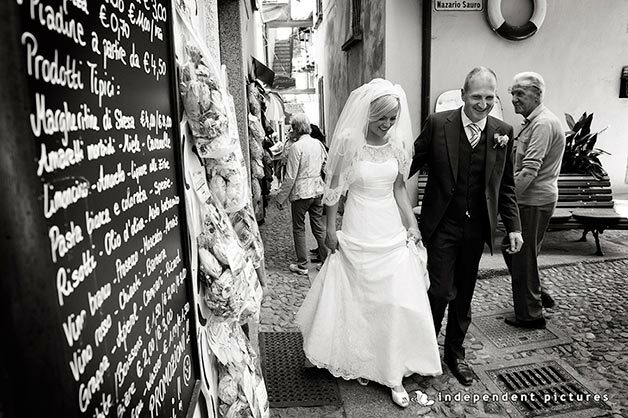 tephanie and Alberto group was not very big but surely very intimate and joyful. 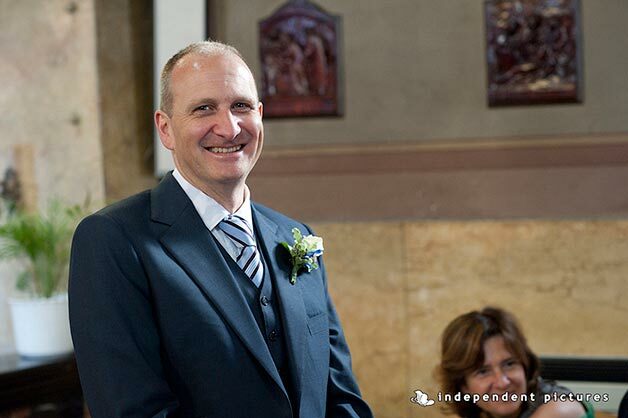 Alberto and all family and friends waited for the bridal party at the little church of Pescatori Island. 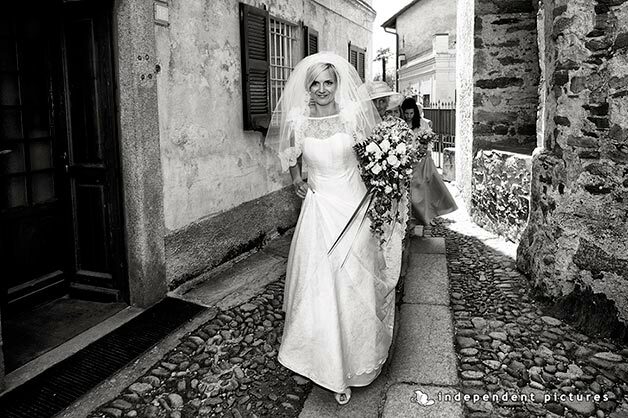 Stephanie arrived at the church with her bridesmaids and little flower girls walking though the quaint ancient roads of the fishermen village on the Island. 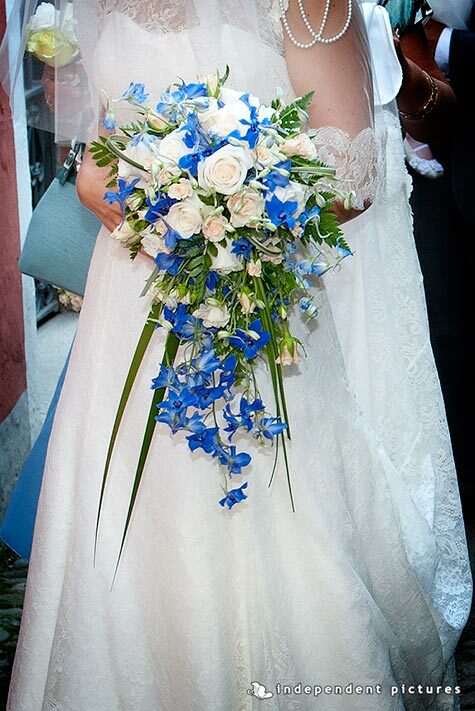 Stephanie wanted for her bouquet a little touch of blue and La Piccola Selva Team did an amazing job creating her bouquet. 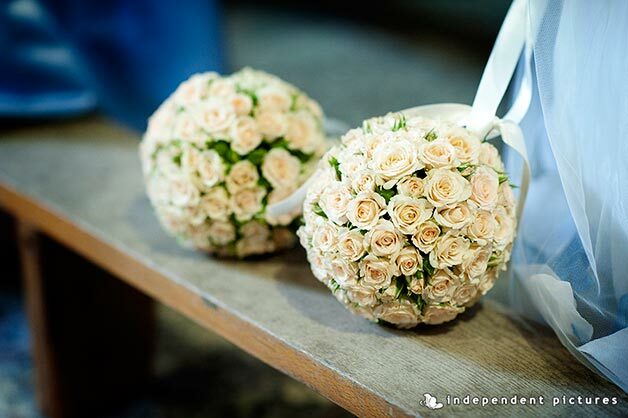 But we cannot forget to mention the little ball shaped bouquet La Piccola Selva floral designers Team created for the flower girls. They were so elegant and very different! The ceremony followed the Roman Catholic rite and was held in two language, Italian and English to let all guests fully understand it. fter some pictures and a little walk in the little roads of the Island the group took the chance to have a lovely aperitif and tour on board of Verbano Restaurant boat. 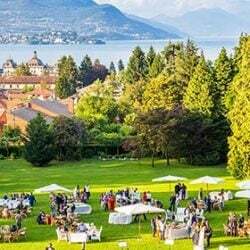 This is a very original way to enjoy some relaxing time for the aperitif, mingle with guests and visit the the beauties of the Lake. 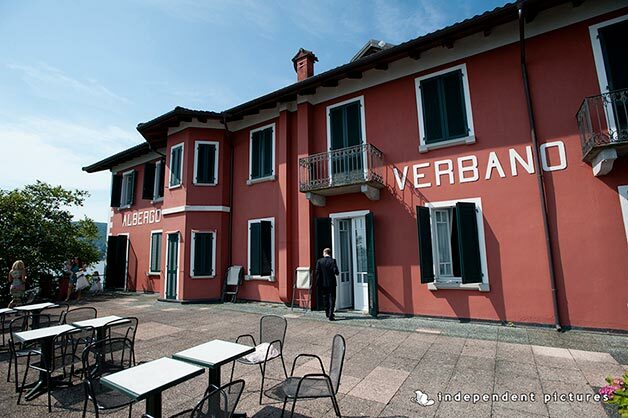 Once arrived back to the restaurant the intimate group enjoyed a wonderful lunch on the main terrace of Ristorante Verbano. 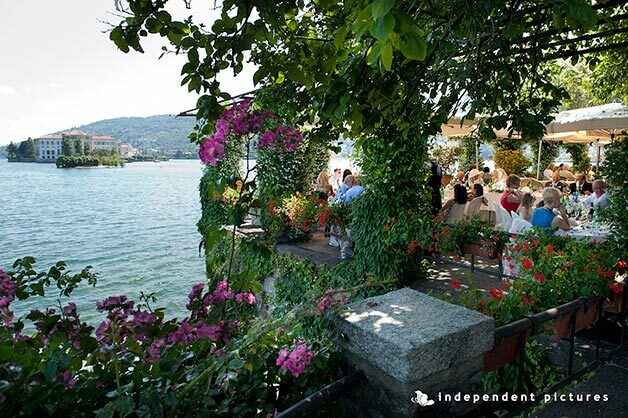 The view from here is simply amazing, you can eat enjoying the view of Isola Bella Palace, the lake and mountains that surrounds it. 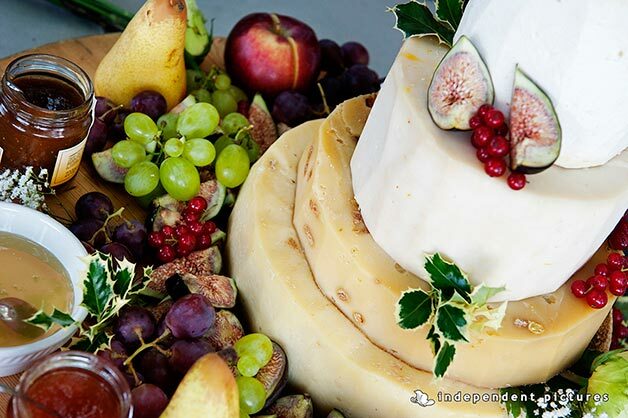 A Cake made of… local cheeses! 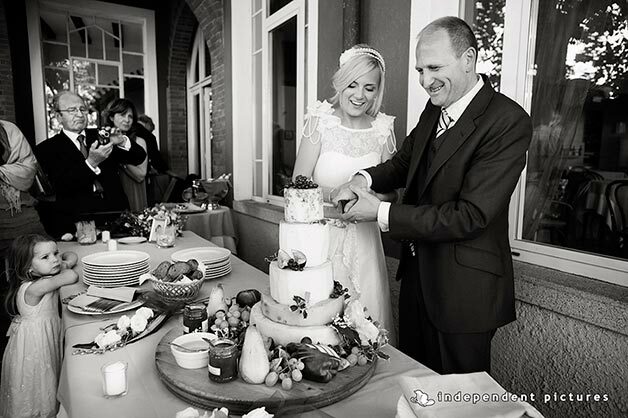 or their wedding cake Stephanie and Alberto had a fantastic idea! A cake made of cheese! 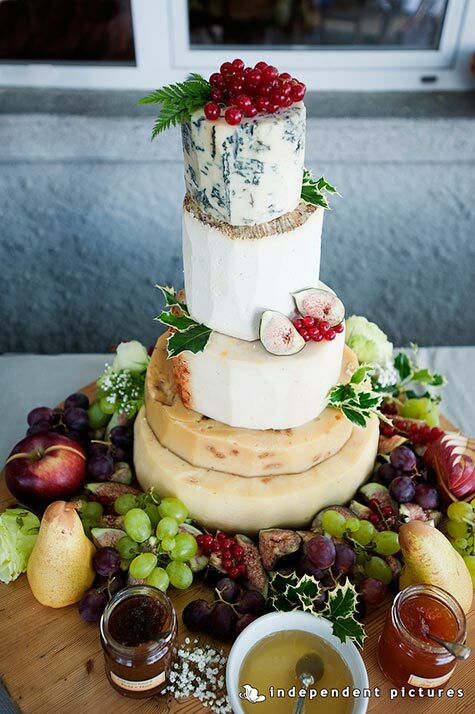 We are not talking about a cheese cake… but real shapes of Italian cheeses arranged together to create an unusual wedding cake! We cannot explain how much this was appreciated by guests! After the meal it was a great idea enjoying some local cheese with honey, jams and some summer fruits and berries. If you are looking for an alternative cake Stephanie’s inspiration will help you a lot! 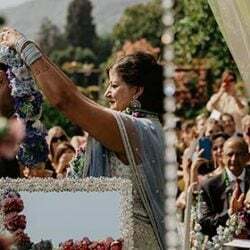 She surely added another touch of Italian style to the party! 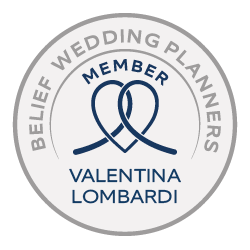 Stephanie and Alberto, all our best and our congratulations! 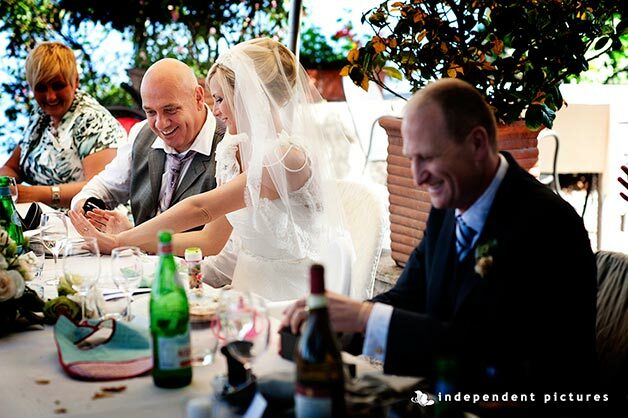 We can really say that this intimate wedding on Pescatori Island was very relaxing, intimate and inspiring! 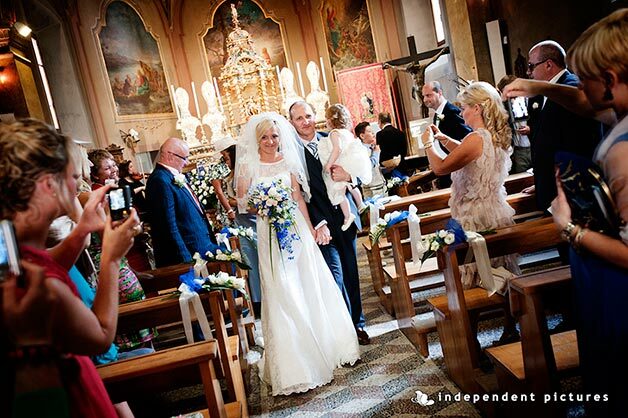 Wonderful ideas, wonderful bride and wonderful location… we are sure guests will remember this for long time! 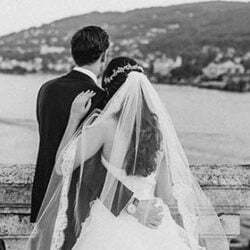 ← WEDDINGS IN JULY… Another Wonderful Month On Our Lakes!